Her parents are living separately. Her father is a rickshaw driver. Her mother left the family 2 years ago. It's difficult to take care of 3 school going children and 1 adult. Akshata is a healthy girl and was found to be mentally and physically active upon admission. Akshata has 2 siblings. Her father is the only one working in her family. 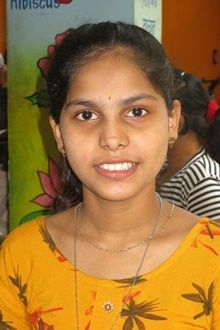 The income is very low to take care of the family, thus Akshata is included in the sponsorship program. Tell your friends Akshata needs a sponsor!